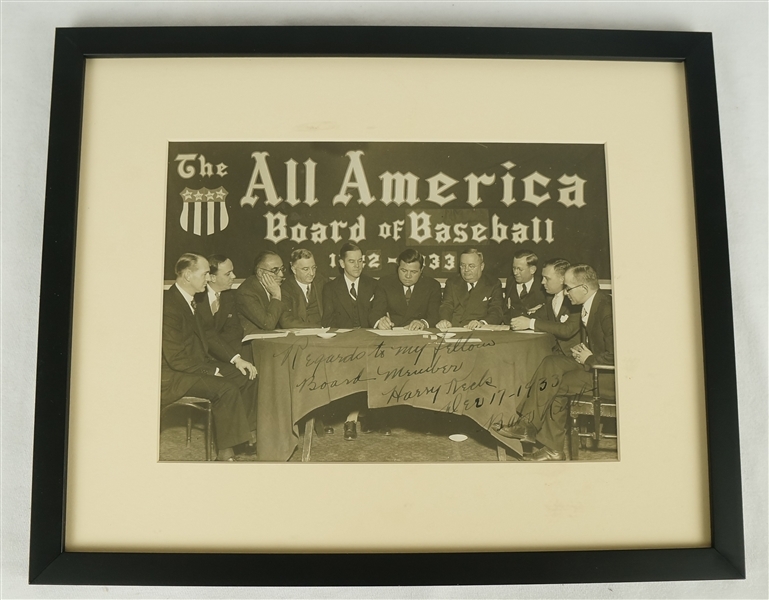 This spectacular lot features a photograph encompassing "The All America Board of Baseball" members highlighted by Babe Ruth. 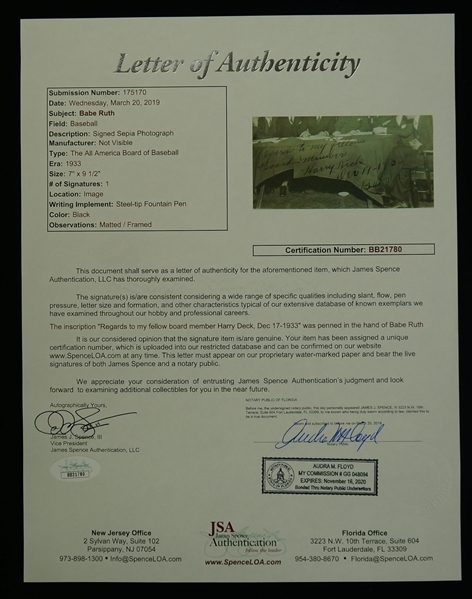 The Great Bambino has personally signed and inscribed this attractive vintage photo "Regards to my fellow Board Member Harry Keck, Dec. 17 1933, Babe Ruth" in black fountain pen. In 1924, sports agent Christy Walsh devised the “Babe Ruth All America Board of Baseball” awards, presented each season to the best player at each of the nine positions. The award was voted on by Ruth and a cadre of sportswriters from baseball cities. 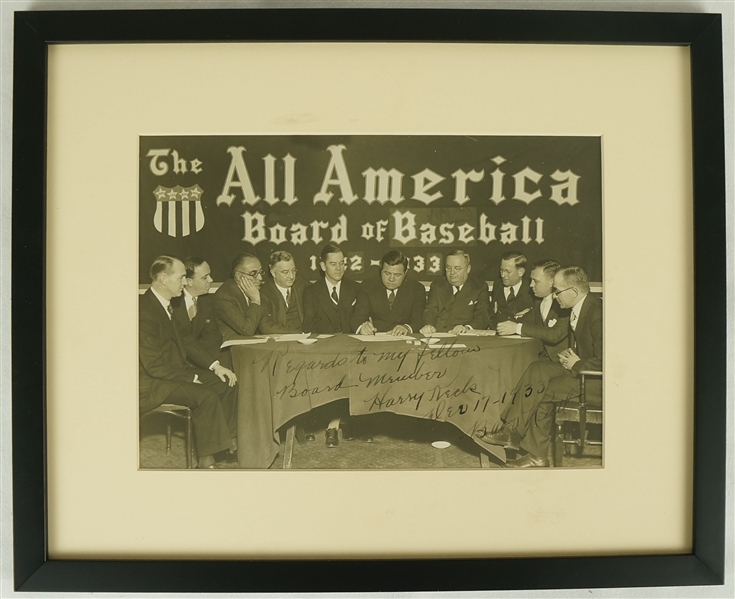 This award was one of the most cherished honors of its time, as the opinion of the most popular baseball player in the world carried a great deal of weight. Numerous Hall of Famers received this tremendous honor, including Babe’s all-world teammate Lou Gehrig. 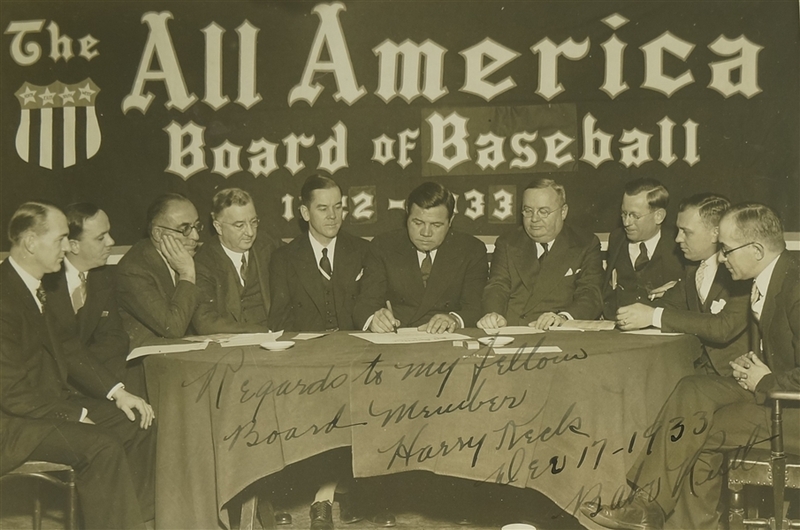 The Sultan of Swat was kind enough to sign this photo for his fellow board member Harry Keck of Pittsburgh. Very sharp, Babe Ruth signature and inscription. Beautifully framed and ready for display.